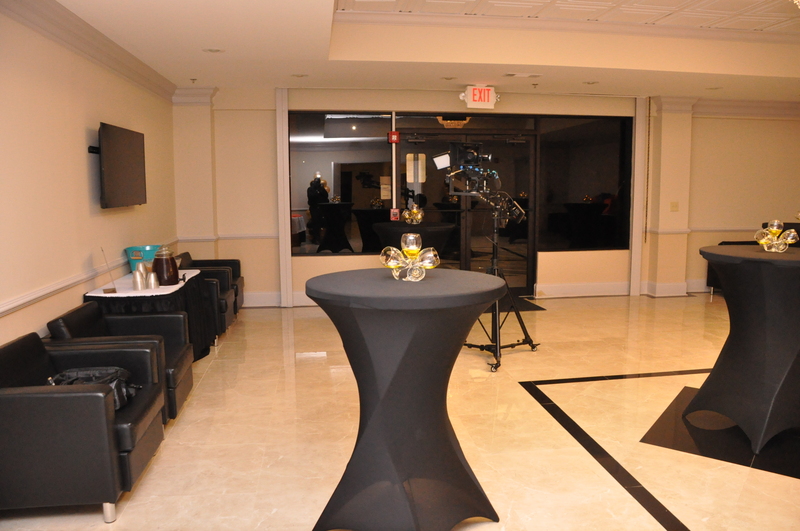 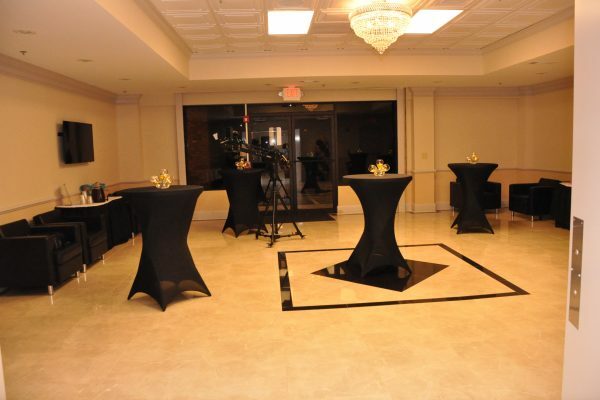 Welcome your guests to a room that exudes elegance. 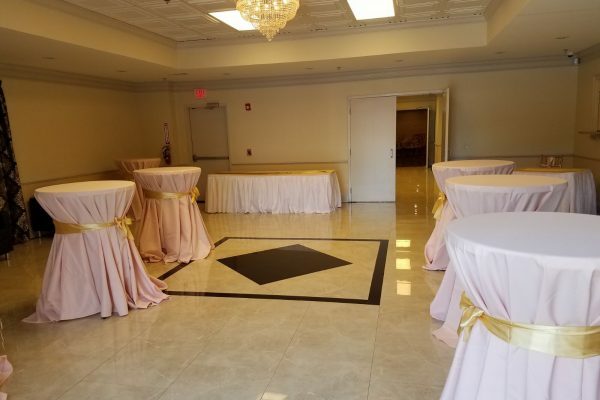 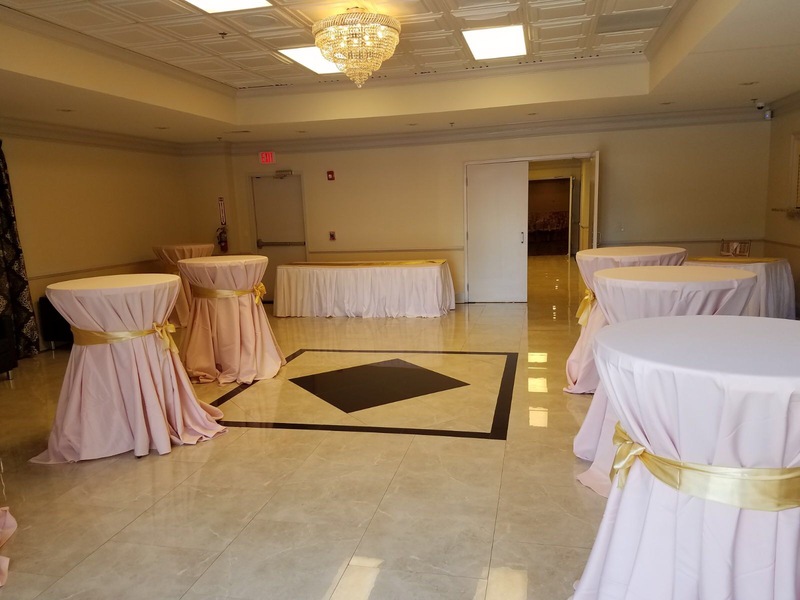 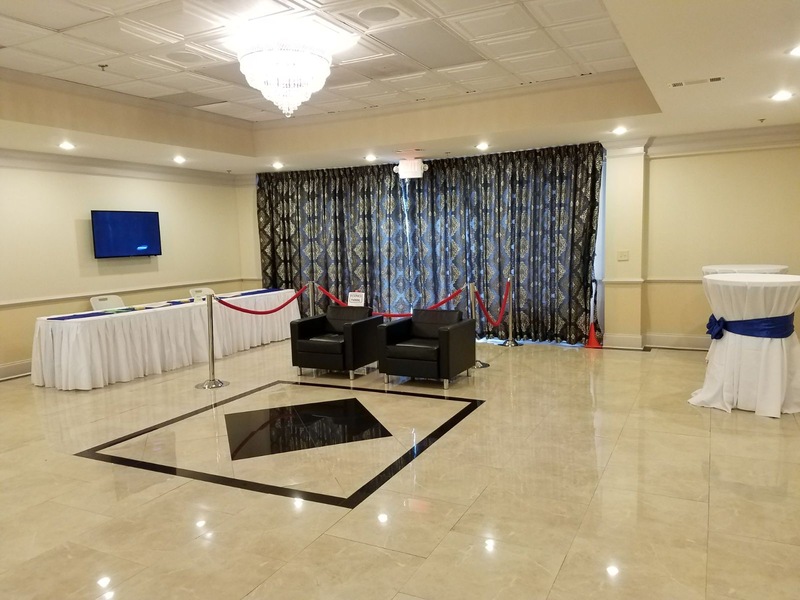 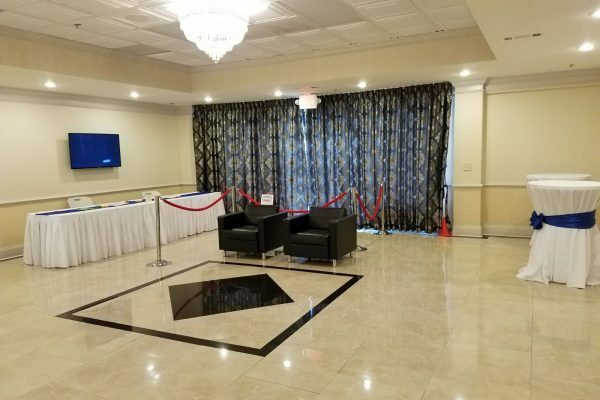 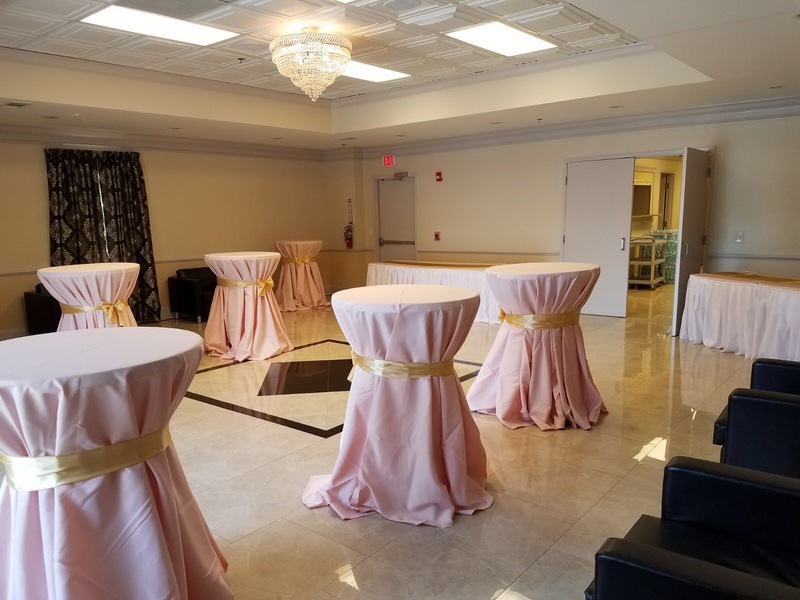 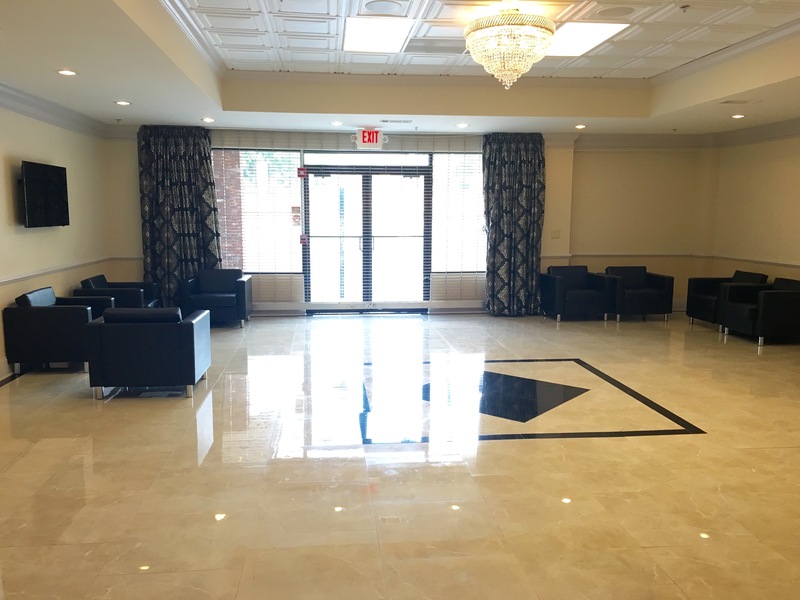 With a beautiful chandelier and excellent tile work, the lobby not only makes for a great entrance but doubles as an excellent space suitable for hosting small events such as cocktail hours, wedding ceremonies, baby showers, bridal showers, and small parties. 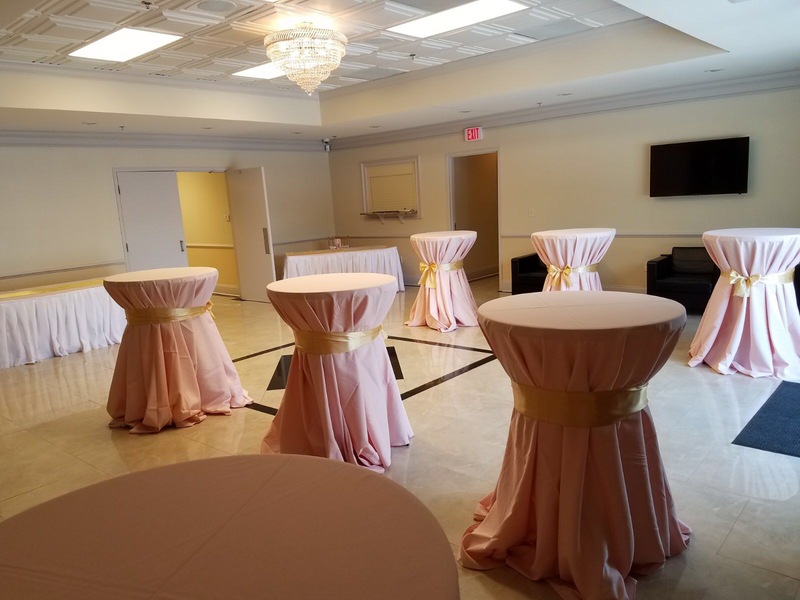 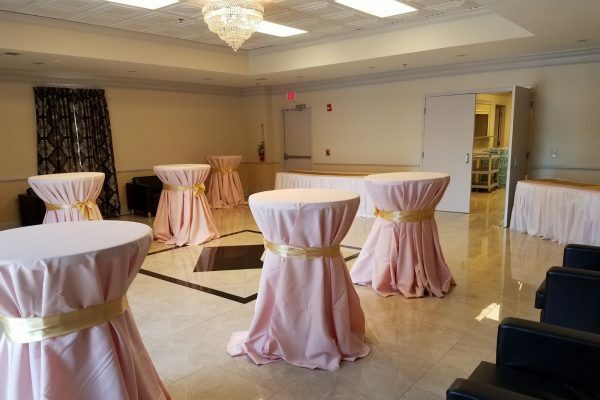 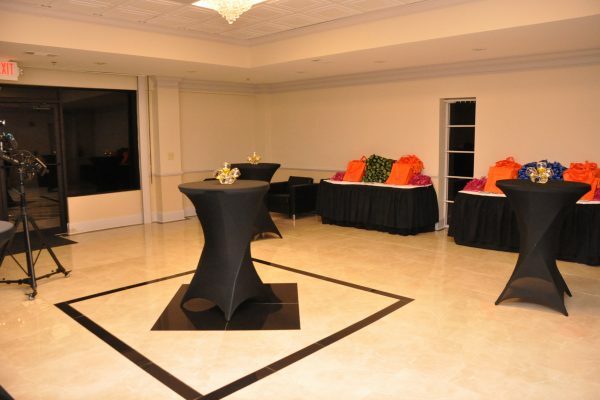 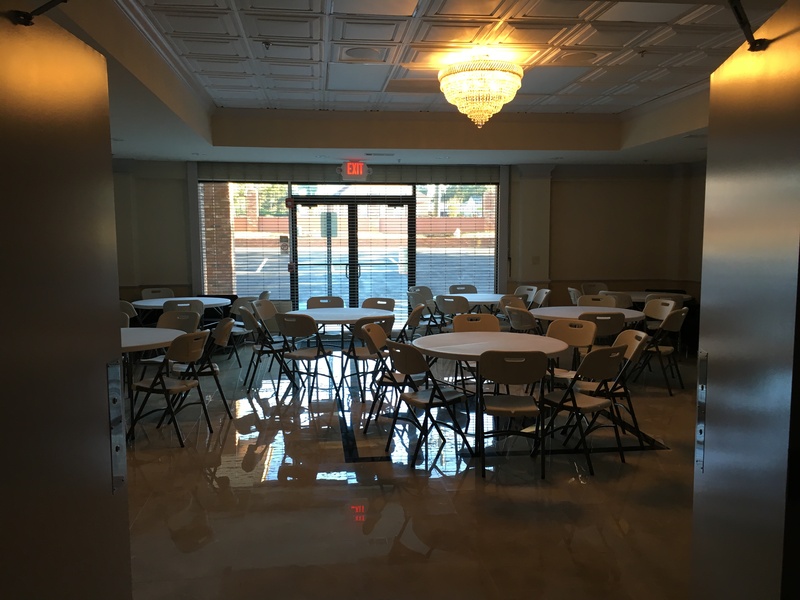 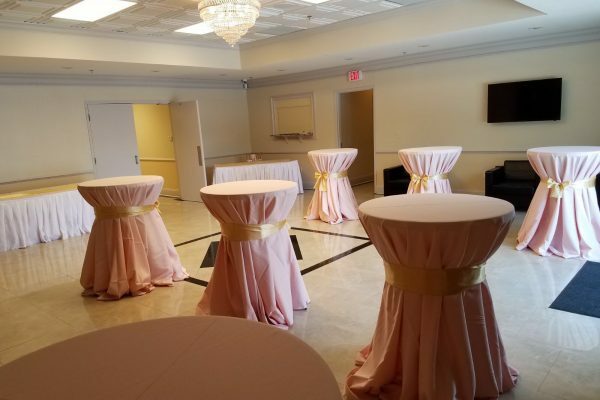 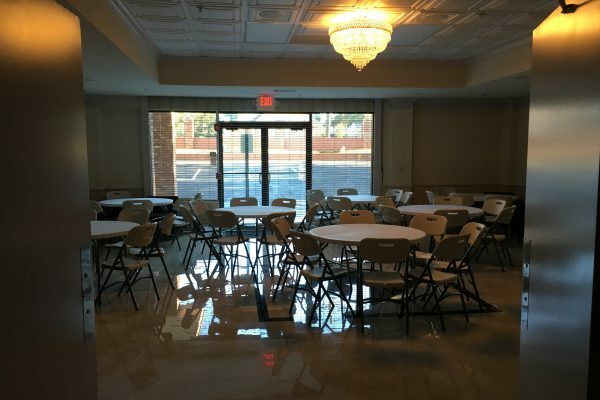 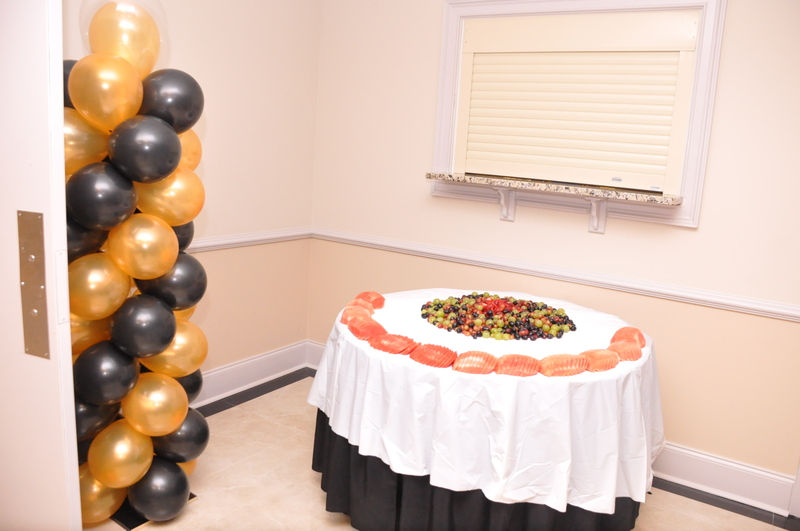 This room can hold 60 people seated banquet style and 100 people standing.